Have you ever noticed that some of those old family recipes never taste as good as you remember from your childhood? There's a reason for that; Our pinches or dashes are not the same as our grandmothers'. Not only did those early cooks have a way with measurements, they didn’t waste a thing. This is why I'm the proud owner of a recipe for giblet pie, handed down from a well-meaning relative. I also inherited a recipe that calls for one quart of nice buttermilk. If anyone knows where I can find buttermilk that plays nice please let me know. "Mix one-half cup sourdough starter with one cup milk. Cover and set it in the wagon near the baby to keep warm ... pinch off pieces of dough the size of the baby's hand." Early cooks didn’t have the accurate measuring devices we have today and had to make do with what was on hand—even if it was the baby. As for the size of the baby, you’re on your own. Tell us about a family recipe you inherited. Wishing you and your family a blessed and bountiful Thanksgiving! My paternal grandmother made the best pasta sauce and homemade bread. Alas, no recipes! Hi Rebecca, what a shame. I wonder, did she cook from recipes? Some people don't. Me? I practically need a recipe to boil water. I have my grandma's sugar cookie recipe. I really don't think she had a recipe and someone asked her to write it down. She gives measurements for the ingredients, except for the flour. The directions calls for "flour to make a rather stiff dough". Hi Susan, I need everything spelled out, so the flour would give me conniptions. I'd add too much or too little. Hi Pam, I can't imagine making a cake without exact measurements. I'm sure it would either turn into a rock or mush. Thank you sharing! 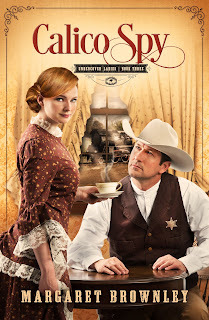 Love the biscuit recipe. What a hoot! I've never heard of a gill as a measurement before. 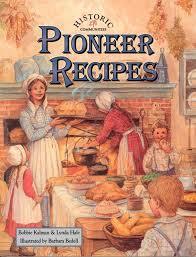 Hi Vickie, I love reading those pioneer recipes. I remember one where the reader was advised to use a broom handle for rolling out dough should a rolling pin not be available. Another pioneer used a rock to mash her potatoes. They sure did know how to make do. Thank you for a great post! I loved it! Hi Melanie and thank YOU! My great grandmother's Mollasses cookies call for a cup of everything (save the spices) except the flour which calls for 4 or 5 cups. I guess it depends on the size cup you use. Hi Carla, a cup of everything makes it easy. I can live with that!